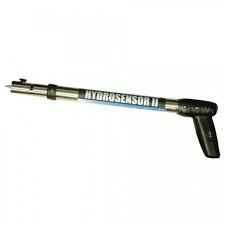 Water detection equipment is crucial to repairing homes and businesses after fires or floods. An excess of water can lead to harmful bacteria and mould, and even illness and death if not removed immediately by a professional. For this reason, we take our job of supplying you with high quality equipment very seriously. Before you begin to thoroughly clean and restore a site, you’ll need to know where the bulk of the water resides – as sometimes it isn’t obvious. It can be hiding in the carpet or behind walls. Just because you don’t see a puddle or you’re not standing in dirty water, doesn’t mean there isn’t a problem. Use a water detection sensor to map the migration of water throughout a room, so you know where problem areas are. Water leak detection equipment is idea for locating and pinpointing leaks in pipes that are hidden behind walls and under floors. For our expert advice in restoration, contact the team at Whyte’s today. Based in Ferntree Gully, our water detection equipment to businesses across Melbourne, Canberra, Sydney, Brisbane, Darwin, Perth, Adelaide and Hobart – and across regional Australia.